This root vegetable has black skin and mild-flavored white flesh. 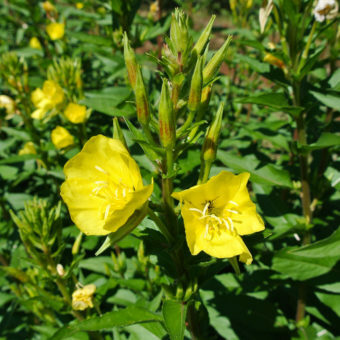 Leaves provide reliable winter greens, and bright yellow flowers in second year are edible. That’s right: three vegetables in one! Not only is this a standby and delicious winter food, but it is a true perennial perfect for the permaculture garden. We found it to be an important addition to our winter CSA alongside the burdock and salsify. Young leaves are delicious in salad and older leaves are great lightly cooked. The leaves and roots both have a nutty lettuce-like flavor. One of the few vegetables that can go through 5°F without flinching and is reputed to have survived -10°F! Hoffman’s Schwarze Pfahl is known for good size, shape, consistency and flavor. From German seed company, Bingenheimer Saatgut. 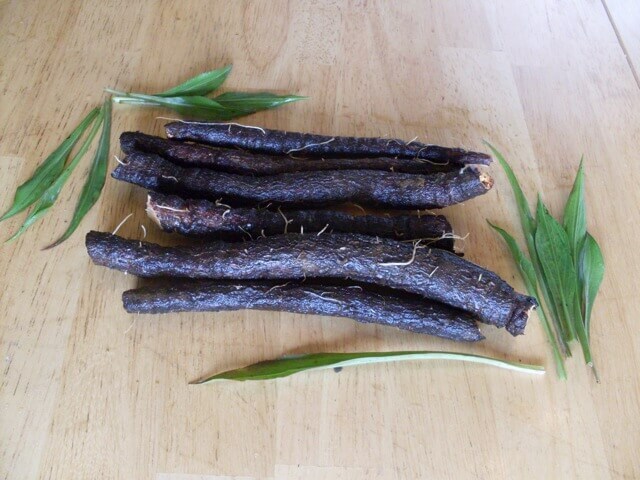 Aka, Black Salsify. 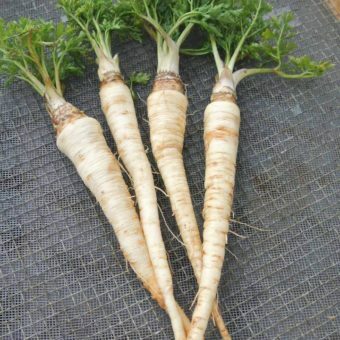 Directly sow seeds in deeply dug soil in the spring at the same time as parsnips because a full season (100-120 days) is needed for roots to attain their characteristic large size. Germination should occur in 8-10 days. After a season well-watered and weeded, dig roots starting in October. If the roots are too small after the first season they may be left in the ground for another season to size up with no negative effects on quality. Give the plants moderate fertility and deep light soil, as fresh manuring and heavy soil both can cause roots to fork. 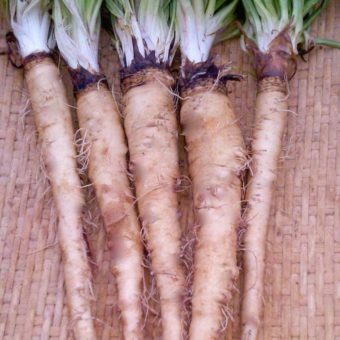 Scorzonera is a perennial flowering in its second year, therefore select the best looking and best tasting roots for replanting soon after digging in the fall. A dozen or more plants is ideal to maintain genetic diversity in the population, but saving seed from less than that would be tolerable for a few generations if those plants are good ones. The self-fertile flowers are frequently visited by insects and cross pollinate frequently, so separate varieties by 500 or more meters when flowering. Each seed head ripens all at once and may shatter in the wind after a day or two. Seed heads (capitula) ripen throughout the season and you must collect seed frequently, each or every other morning to avoid missing a lot. The seeds are benefited by extra drying on a screen after harvest for a few days. Seeds are usually only viable for 2 years but sometimes stay viable for up to 7 years. Las Vegas, NV lends itself to year round growing with proper planning. Root veggie crops are cool season crops here. 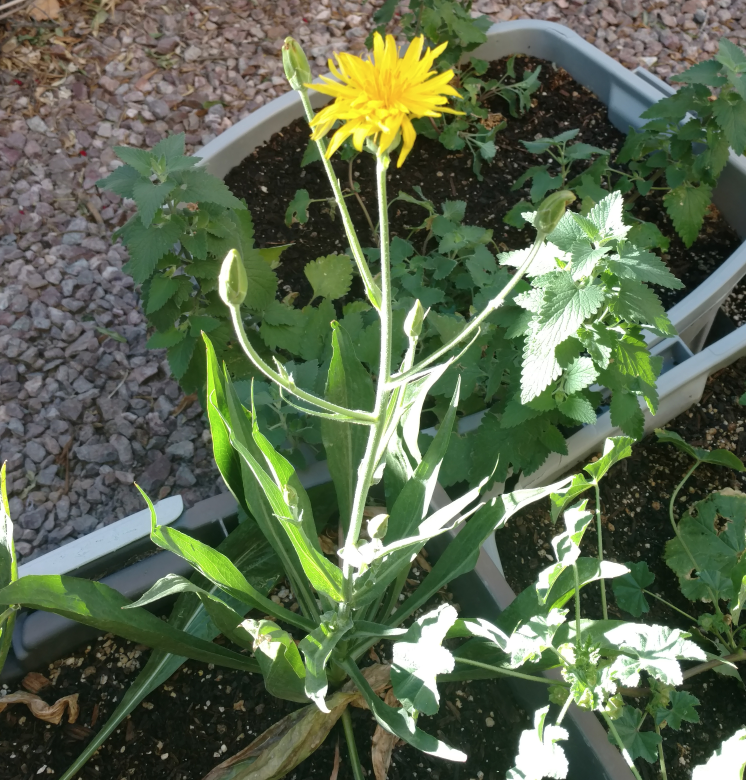 I planted in Late November in my container garden and harvested it a week ago (early May). High germination rate. Growth over the winter was slow, but the plants really took off when the days started to lengthen. ZERO pest problems. Two of my 8 plants bolted at the end April, so I let them flower (feed the bees!) and harvested the others before they could bolt. Put them into a veggie stew where their subtle umami flavor was a nice change up from potatoes or turnips. Will absolutely be returning to my garden as soon as the fall planting season arrives.